Bose is the one-stop solution for all music enthusiasts who crave for the ultimate audio experience. From speakers to headphones, Bose believes in value for money. Priced little higher than most other products in the market, the audio-products from Bose ensure that they offer what none other can; technical advancements coupled with ingenuity. 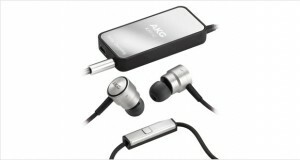 The company’s first pair of in-ear headphones with active noise-cancellation promises to live upto its pedigree. The QuietComfort 20i Acoustic Noise Cancelling headphones are one of the best noise-cancelling headphones in the market, both in the in-ear and over-ear categories. They work even when the battery is dead or the noise-cancellation has been turned off. 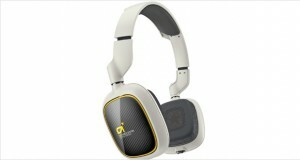 Additionally, the headphones boast of an ‘Aware Mode’ controlled by a small remote placed just above the Y-slit. This is what Bose incorporated to lower the noise cancellation several notches so as to enable casual conversations without disengaging the audio source completely. 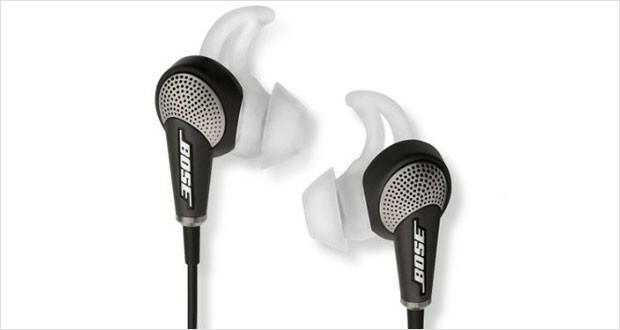 They have the Bose TriPort design with two microphones added for monitoring external noise. The three pairs of flexible ‘StayHear+’ eartips ensure a secure fit. The rechargeable battery is embedded in the control pod of the chord. All these advanced circuitry makes sure that the QC 20i are assuredly one of the best high-range in-ear headphones in the market. The TriPort technology along with the active Equalisers, ensure that smoothness is offered for music across the spectrum. 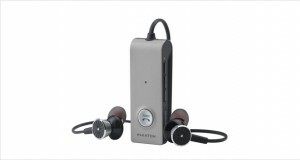 Depth and balance provided by the headphones aim at creating a rich and vibrant music experience. The product is optimized for androids, Blackberry and windows phones. ‘Aware-Mode’ for flexibility in hearing ambient noise, if needed, all the while keeping the music in the background alive. The QuietComfort 20i Acoustic Noise Cancelling headphones come in muted colours of white, grey and black. Not as flashy as some of the other in-ear headphones in the market. But all that is taken care of by its excellent build and longevity. The lightweight headphones are made from durable plastic, with a thick, tangle resistant chord that comes with a splitter. The silicon eartips come in three different sizes that are meant to allow flexibility to the user. Dimensions21.6 x 4.9 x 2"
The material is mostly plastic, but it is not cheap. The chord is thick and stoic. The eartips, made of soft silicon, are pliable but susceptible to damage if handled roughly. Also, the headphones are very lightweight. Lightweight, these in-ear headphones perform like any other over-the headphones in the market. The StayHear+ eartips in different sizes offer flexibility to the user and offer a secure and snug fit. Mid range is slightly recessed and overshadowed. The bass is rich and vibrant. However, with the noise-cancellation turned OFF, the lows tend to get a bit muddy. The active noise-cancellation in these in-ear headphones are as good as any over-ear ones. They work in passive mode too, where the fitted eartips provide passive noise reduction. Also available, is the Aware-Mode, which allows for conversation by lowering the background music down a few notches. The noise-cancellation is beyond expectation from in-ear headphones. Sound is fairly crisp. However, clarity across the spectrum is not the strongest point for these pairs. The slim and less cumbersome incline battery compartment. No visual treat. The headphones come in muted grey and black. The battery compartment for the inline noise cancellation is a bother. The noise-cancellation feature wins the cake for the Bose QuietComfort 20i. Coupled with the minimal weight that comes with any in-ear headphones, Bose has come up with a win in terms of noise-cancellation. However, plastic tab design might be a deal-breaker to some users who are finicky about paying 300$ for the set. For them and the rest, Bose offers a trial period of 30days, where the money-back option is available if product is unsatisfactory. The sound quality is excellent but not as amazing as its over-ear counterparts and there is a distinct hissing sound when the noise-cancellation is turned off. Overall, the headphones are pricey but a good deal if the user is not an enthusiastic audiophile with an ear for minute details.